Get excited: Spring has Sprung! …And the 2019 season has begun. Sort of. No Trips Through the Weekend (4/21) due to High Water! Always call ahead to 434-286-4386 to make sure the river is safe! To make a reservation, click here to request one. 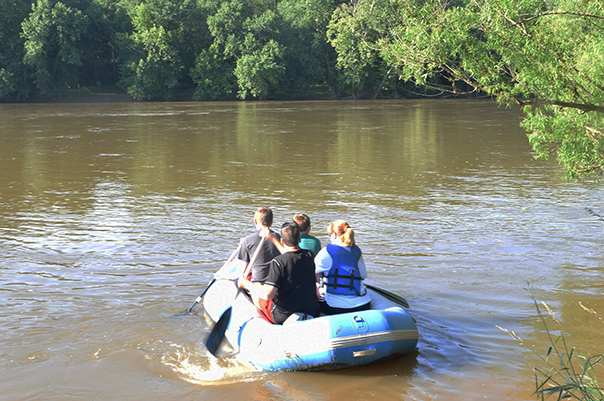 Bring your friends and family for a day of fun on the river. Fun for all ages and experience levels! We offer equipment rentals 7 days a week in season from April to October. Our trips are appropriate for ages 6 and up and all experience levels. Trips are self-guided (this means you and yours and other renters, no guides) and include shuttle service to our drop point (most trips end back in Scottsville where you park). You also enjoy full use of our facilities, including private changing area with hot showers and free, secure parking. 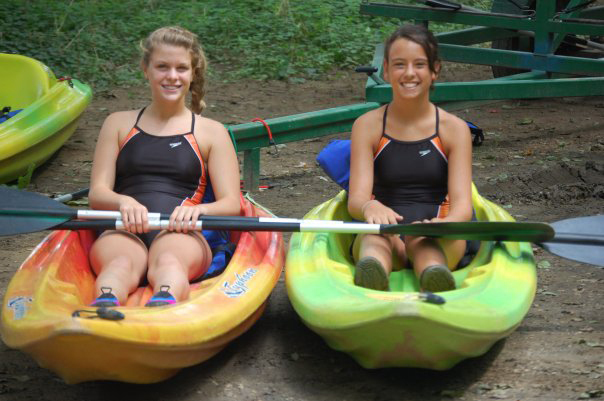 We take the hassle out of river trips and double shuttling. Our HQ in Scottsville is a stone's throw from the James river. 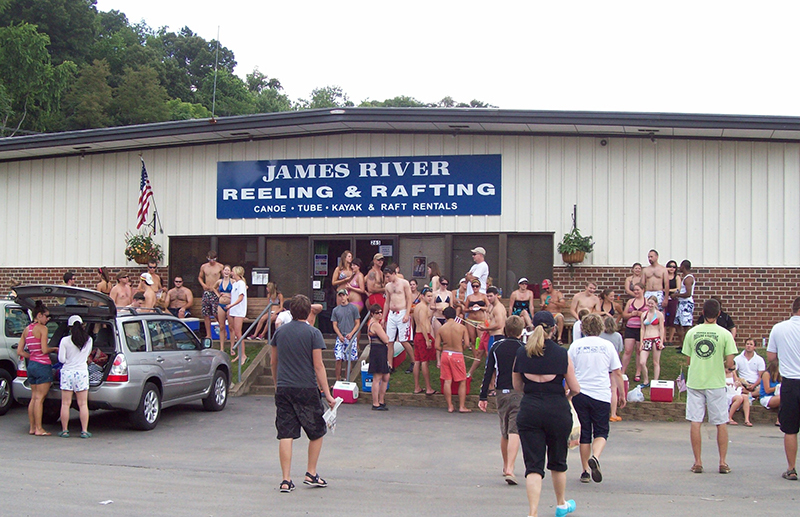 You and your group can park at our private riverside parking lot. From there you will be briefed on your trip and shuttled to your destination with equipment reading by our staff. Then it's just you and Mother Nature! 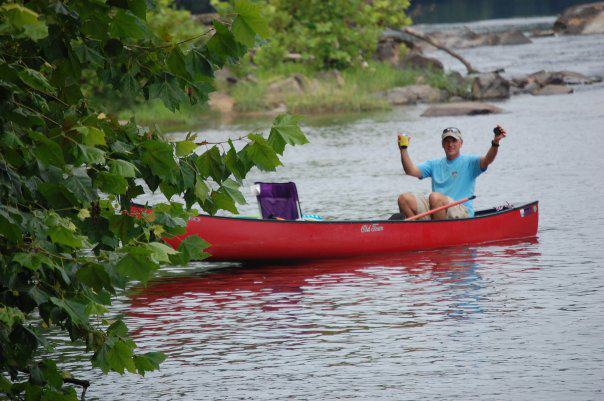 Don't forget the cooler for your group as they float back to your car, parked at riverside. Make your reservation today! Upload your Photos to our Facebook Page to be entered in weekly giveaways!